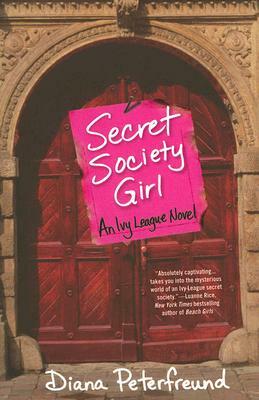 In a fabulous blend of the bestselling traditions of Prep and The Devil Wears Prada, Secret Society Girl takes us into the heart of the Ivy League’s ultraexclusive secret societies when a young woman is invited to join as one of their first female members. Elite Eli University junior Amy Haskel never expected to be tapped into Rose & Grave, the country’s most powerful—and notorious—secret society. She isn’t rich, politically connected, or…well, male. Whisked off into an initiation rite that’s a blend of Harry Potter and Alfred Hitchcock, Amy awakens the next day to a new reality and a whole new set of “friends”—from the gorgeous son of a conservative governor to an Afrocentric lesbian activist whose society name is Thorndike. And that’s when Amy starts to discover the truth about getting what you wish for. Because Rose & Grave is quickly taking her away from her familiar world of classes and keggers, fueling a feud, and undermining a very promising friendship with benefits. And that’s before Amy finds out that her first duty as a member of Rose & Grave is to take on a conspiracy of money and power that could, quite possibly, ruin her whole life.